A local authority is expected to back the Scottish government's proposal to end council tenants' right to buy. Members of Perth and Kinross housing and health committee will meet next week to discuss the government consultation on the scheme. Officers have recommended councillors approve the authority's response supporting an end to right to buy. The council said stopping the scheme would preserve the area's "scarce supply" of affordable housing. The Scottish government is currently considering a number of proposals aimed at protecting and increasing the country's supply of affordable housing. 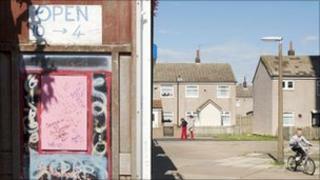 Two main proposals are being consulted on; modernising the "Right to buy" programme or ending it entirely. Earlier this year Perth and Kinross Council invoked "Pressured Area Status" for the whole area, which suspended right to buy for all council tenants who entered their tenancy on or after 30 September 2002, or who changed properties on or after that date. Committee convener Dave Doogan, said: "There is huge pressure on social housing in Perth and Kinross, and the introduction of Pressured Area Status has helped us to ensure that the situation does not get any worse. "The ending of Right To Buy would help us preserve the scarce supply of affordable housing to rent in Perth and Kinross. "There are thousands of people in Perth and Kinross who are in housing need, and that is why this is an important issue." Perth and Kinross Council has sold 9,100 of its properties through the right to buy scheme since it was was introduced in 1980.